Since November of 2006, the expert technicians at Drive Customs have been serving the needs of car dealerships, law enforcement offices and local patrons. All aspects of installation, from custom designs and fabrication, to wiring and tuning, are performed by our team of specialists. Our fully licensed and insured facility includes a spacious fabrication room, product showroom and comfortable customer waiting area. A Wisconsin native, Jesse began a side business in car audio when he was in high school. In 2000 he moved out to California and decided to make vehicle customization his full-time profession. With over 20 years in the industry, Jesse has become an expert in innovative fabrication techniques and in the installation of mobile electronics. He is also fully trained to build law enforcement vehicles, providing consulting and upfitting services for departments all around the Central Coast. A meticulous worker, Jesse prides himself on his creativity and superb attention to detail. He is a certified Emergency Vehicle Technician and a Mobile Electronics Magazine Top 100 Installer. Jesse's work has been featured in Car Audio & Electronics Magazine, at the Consumer Electronics Show, SEMA Show, Knowledgefest and at the COPSWEST Expo. Sean was born and raised in California, and grew up with an affinity for cars. As a young man, Sean worked on various projects with his father and quickly knew he wanted to pursue a profession in the automotive industry. In high school, he began taking shop classes, which led him to a career path as a mechanic. During his training, he developed a fondness--and talent--for vehicle wiring, and soon found himself upfitting law enforcement vehicles. 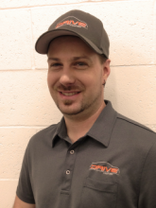 Sean is the lead fleet technician at Drive Customs, specializing in custom metal fabrication, radio installation, and siren systems. He is currently studying to become a certified Emergency Vehicle Technician. 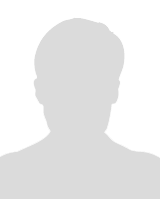 A United States Air Force veteran, Craig's background is in avionics, specifically for the F-16 Fighting Falcon. Over the last 15 years, he has shifted his focus from airplane communications to automotive electronics. A self-proclaimed performance vehicle enthusiast, Craig has a passion for all makes and models--from classics to modern muscle to European sports cars. At Drive Customs, he is expanding his skill set to encompass the emergency vehicle sector, and also plans to further his education by studying the fundamentals of engine operation and tuning.